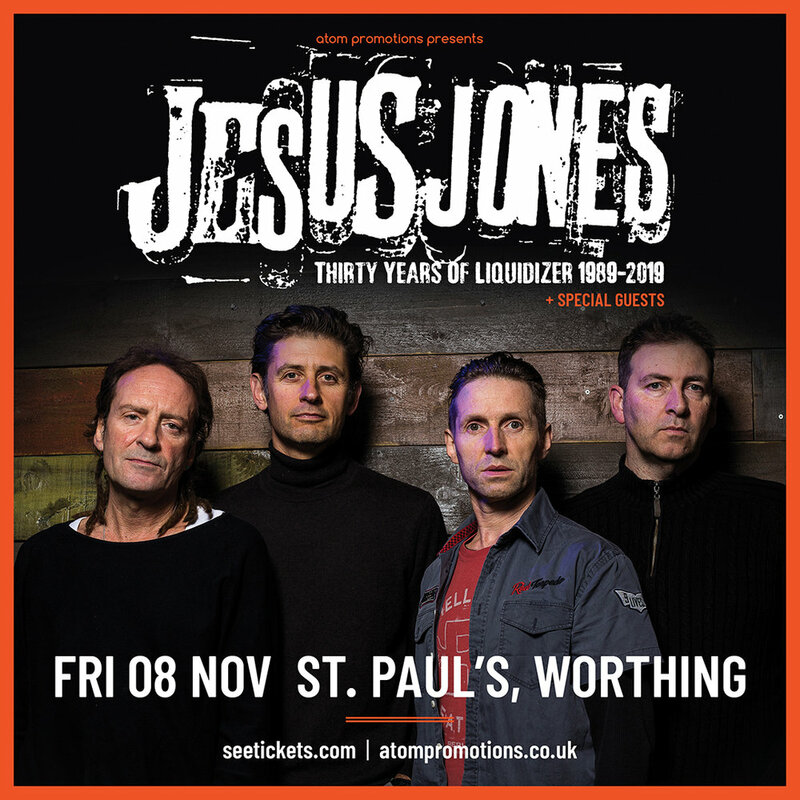 2019 will commemorate the 30th anniversary of Jesus Jones's debut Album Liquidizer and the first single Info Freako and to celebrate this the band will perform the whole album in it's entirety plus all the big hits. Their first album, 1989’s “Liquidizer” with its singles “Never Enough” and “Info Freako” saw them selling over 80,000 copies and obtaining their first siver disc, It led to them touring the UK and Europe, wowing critics and fans with a high-energy live show that was to become the band’s trademark. Within a year, things really started to happen. When it was first released, at the start of 1991, their second album “Doubt” quickly became a phenomenon. It entered the UK charts at number one and gave the band their first gold disc. It would also see massive sales around the world, including Canada (where it went platinum), as well as Japan and Australia. However, perhaps the album’s greatest success was in the US, where it went platinum, selling well in excess of a million copies.